CASE STUDY: How PaperBoat is building its brand story with superb marketing strategy? Home > Blog > Blog > CASE STUDY: How PaperBoat is building its brand story with superb marketing strategy? PaperBoat was started in 2011 by four friends Neeraj Kakkar, Suhas Misra, Neeraj Biyani and James Nuttall as Hector Beverages in Gurgaon and launched Tzinga in Delhi and Bangalore for almost one-fifth of the cost of the biggest energy drink Red Bull. 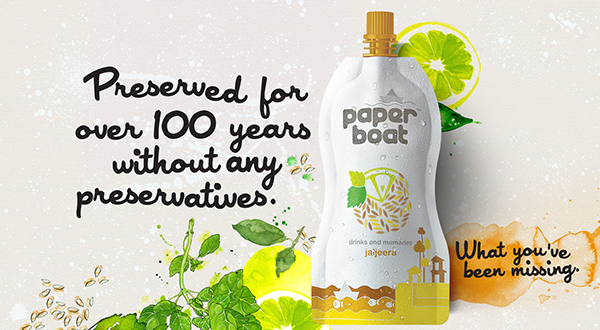 Paper Boat is a brand of traditional Indian juices and drinks by Hector Beverages. This young and vibrant brand has made an emotional connect it has made with consumers in a short span of time. In the new era of marketing, PaperBoat has played the game so wisely using engaging content for story-telling that not only it has made brand awareness but also an emotional contact with its target audience. Paper Boat’s marketing strategy moves around nostalgia and simplicity in its storytelling campaign. The campaign was focused on the urban population mainly people of the age group of 20 to 40. Paper Boat’s beautifully utilized social media for sharing stories with its fan following. The platforms Facebook, Twitter, Instagram and YouTube mainly use content to interact with the customers. The content story moves all around its brand philosophy, “Life still is Beautiful”. Every activity from flying kites to running behind rickshaws, from playing indoor games to making Paper Boats became a point of conversation. What worked great for Paper Boat? Product: Paper Boat created an enjoyable moment with its unique blend of ‘Drinks and Memories’. Most of the ingredients used are naturally found spices and condiments which have differentiated it from other brands in the soft drink segment. Its sweet and salty flavor has helped the brand reach to the heart of the diabetic capital of the world. Price: The price strategy of PaperBoat products has also helped in gaining the customer for the brand. Price strategy with 5 10 15 20 25 30 is the pricing strategy of the company. Competition: The product of PaperBoat is as like home-made product. But there is something different about PaperBoat products that it has gained that much attention across the country. Paper Boat is mainly in competition with non-branded products. Thus this is the reason for the brand to decide the price of each and every product wisely. PaperBoat has created a difference in the beverage segment by attaching people with emotion. Place: Hector Beverage is more retailers friendly and offers retailers 5% more profit margin as compared to its competitors. Choosing best place for their products is the top most among strategy of the company. They have tied-up with Indigo airlines to sell their products on-board. Keeping their products in school canteen is also in their strategy as their products are considered healthy for children. Promotion: Paper Boat’s advertising is done through print as well as digital channels including newspapers, social media and most importantly by positive word of mouth promotion. Storytelling Approach: What worked very well for Paper Boat on social media was in getting their fans and customers to share their childhood stories and moments on social media. It helped PaperBoat in brand building. Customer Centricity: PaperBoat primarily focused on their products rather than focusing on the brand philosophy. Working on this strategy, the company was able to develop a more customer centric product. Doing this, the brand got connected with its customers and their lives as it made their lives meaningful with childhood stories. Multi-media campaign: PaperBoat launched a multi-media campaign, which includes a three-and-a-half-minute long video dishing out pure nostalgia. To get connected with the lives of the people, the brand collected heart touching and thoughtful childhood memories and beautifully joined some other stuff from old childhood memories. An advertisement narrated by Gulzar and moving around “Maigudi Days” is in sync with the brand’s philosophy of “Drinks and Memories”. #FloatABoat campaign: To participate in the #FloatABoat campaign, one only needed to make a paper boat and upload the picture of paper boat on the PaperBoat site or on its social media pages like Facebook, Twitter, or Instagram with hashtag #FloatABoat. The motto to touch the lives of people with emotions got huge success through the video posted on YouTube and the video received 40+ thousand views in just 5 months. Keeping a track on the success, the company plans to launch more variants, at least 25 variants in total. The brand is available on more than 20,000 retail outlets having tie-up with coffee chains like Barista, airlines such as Indigo and Jet Airways and hotels such as Westin and Trident. Company has two plants. One in Manesar and other in Mysore with more plans. PaperBoat gained huge traffic over its social media platforms.